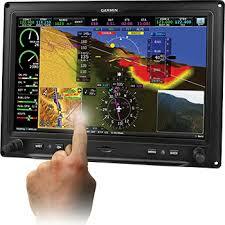 Garmin certifies the G3X Touch | Avionics Blog – Avionics to the Max! Maxcraft is excited that live today in Palm Springs, Garmin has certified the G3X Touch flight display for hundreds of certificated aircraft. The G3X Touch offers a variety of scalable panel configurations and a superior feature set that includes wireless connectivity and synthetic vision as standard, as well as options such as display redundancy, advanced autopilot compatibility, engine monitoring and more. The Federal Aviation Administration (FAA) has granted Supplemental Type Certificate (STC) approval for the installation of G3X Touch in nearly 500 certified single-engine piston aircraft, which is supported by Garmin’s expansive dealer network and its award-winning aviation support team. VFR sectionals and IFR enroute charts display pertinent information pertaining to VFR/IFR flights, and geo-referenced instrument approaches improve situational awareness by overlaying own-ship position information on the instrument approach chart. The GMA™ 345/342 audio panel adds advanced functions, including auto squelch, 3D Audio and Bluetooth®connectivity. Up to two Comm radios can be supported and controlled by G3X Touch, including the GNC 255 Nav/Comm and theGTR 225 Comm, as well as the GTN 650/750. Call or come visit us at Maxcraft Avionics and get more information from our team! This entry was posted in Avionics News, Featured Posts and tagged altitude, autopilot, Avionics, Canada, efis, Flight Instruments, G3X, G3X Touch, G5, garmin, glass cockpit, GPS, Maxcraft Avionics, MFD, navigation, PFD, radio, radios, tcas, touch display, VHF. Bookmark the permalink.